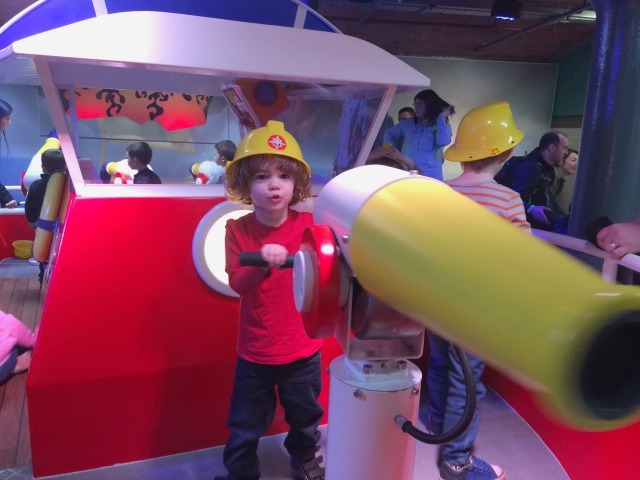 Last week it was half term for us and, as we often do, we decided to spend one of our days in Liverpool. 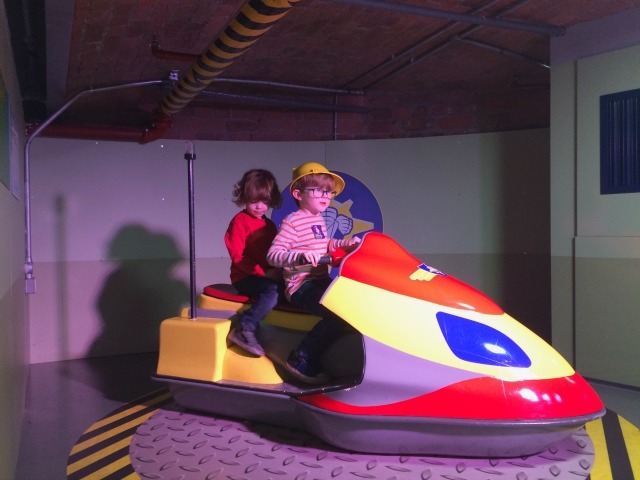 We were invited to visit Mattel Play – if you haven’t yet heard of it it is a indoor play centre for young children based around popular children’s characters, Thomas the Talk Engine, Bob the Builder and Fireman Sam. 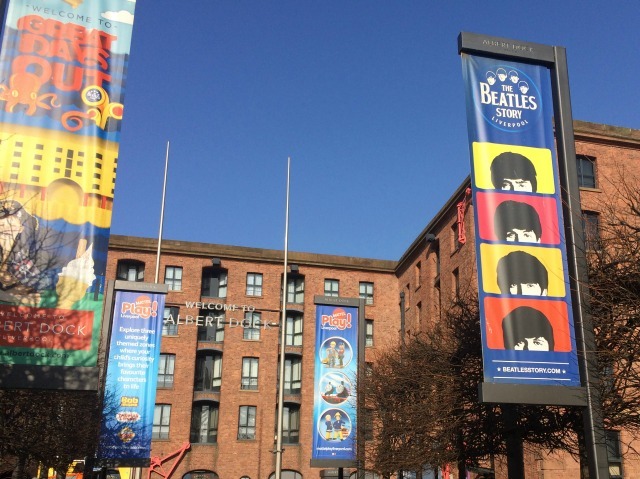 It’s in the Albert Dock which is such a great spot for a family day out in Liverpool. We did the tourist thing there last summer and had the best time. 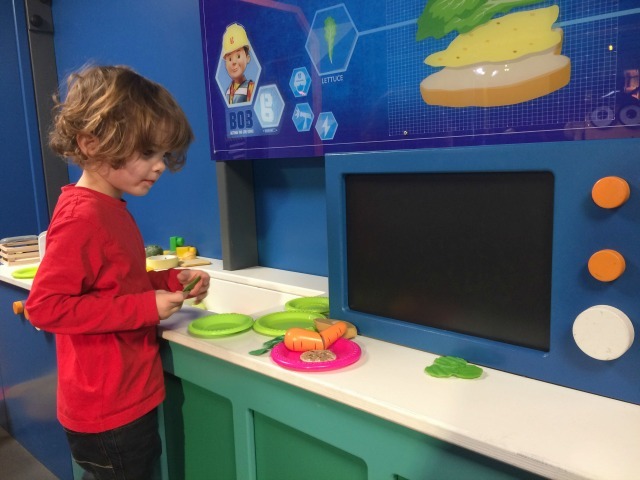 Mattel Play itself is aimed at pre-school children but I can tell you that Lucas, who is five, had an absolute blast. Our half term was a week before most in the North West so it was fairly quiet. 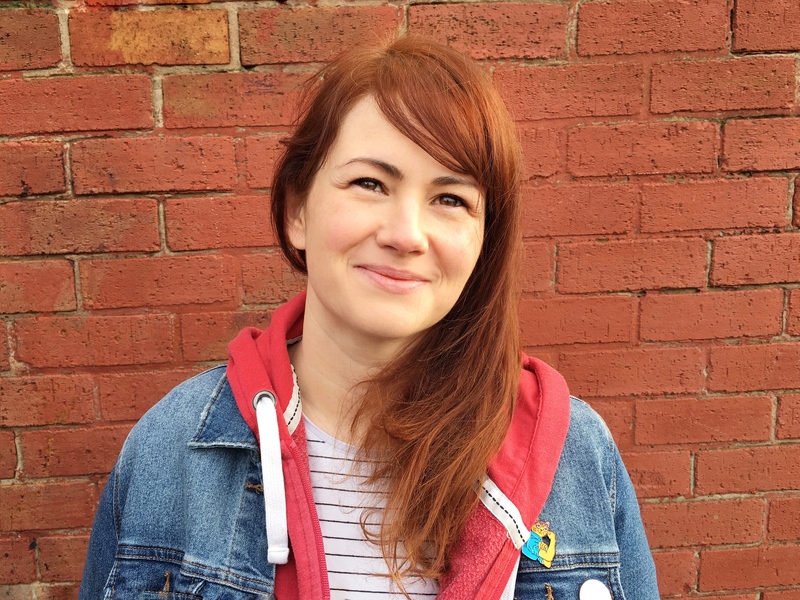 At busy times it is recommended you book in advance as you are given timed slots. We’ve been before and both times we’ve found it easy to see everything. Some areas seem to get busy quickly but they quieten down again and you can always come back if you didn’t get to see something the first time. 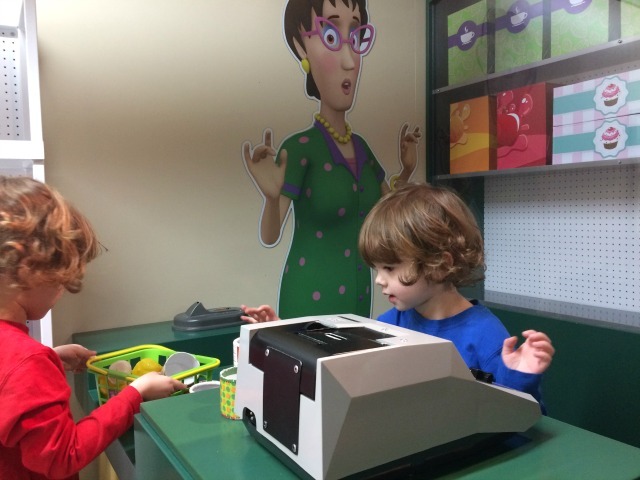 The staff on the welcome desk are great at finding you the best price for your family, prices are different off-peak and depending on the age of your children. They told us where everything was as we went in and me and my husband were given wristbands so we could come in and out of the play zones. There is space to park pushchairs and lockers for you to put coats and bags in. 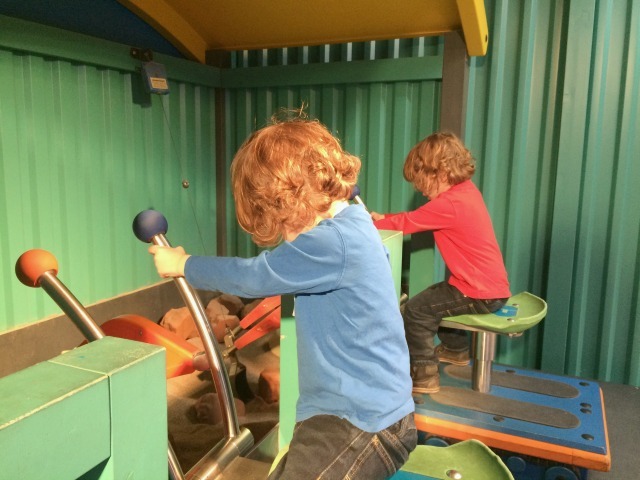 As soon as we got in there my boys were off – everywhere you look there is something for them to do and I like that each zone has several different activity areas so you can usually find something free. 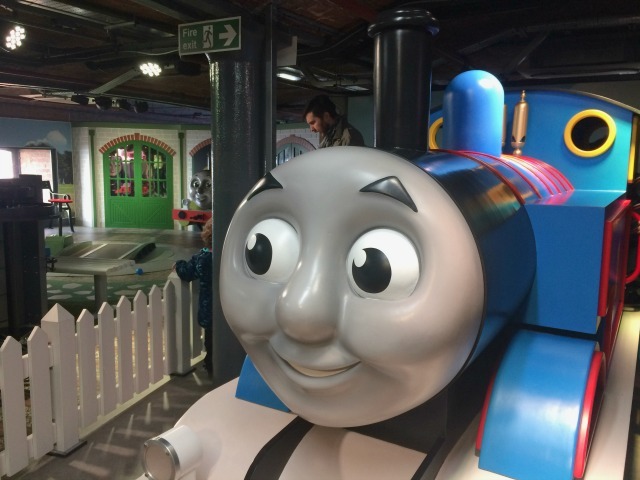 The giant trains are popular in the Thomas zone, as is the soft play area with a big Harold the Helicopter and ball pool – we had to convince them to move on from there! 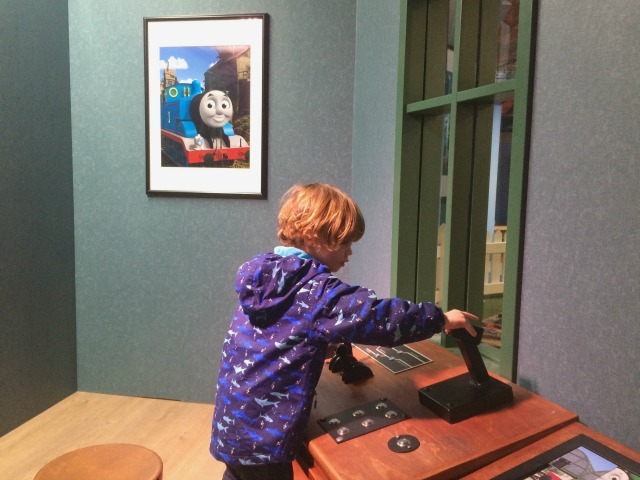 There are a few different rooms with controls, maps and chalk boards to play at being the controller but the highlight is definitely the mini train that the children can sit on as it goes round. 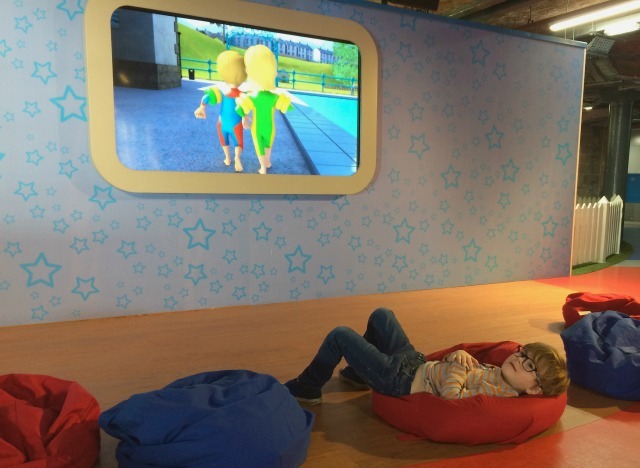 In between Thomas the Tank and Bob the Builder is a chill out area with some comfy bean bags and a TV, we stopped off here for them to catch their breath and then headed on into Bob the Builder. 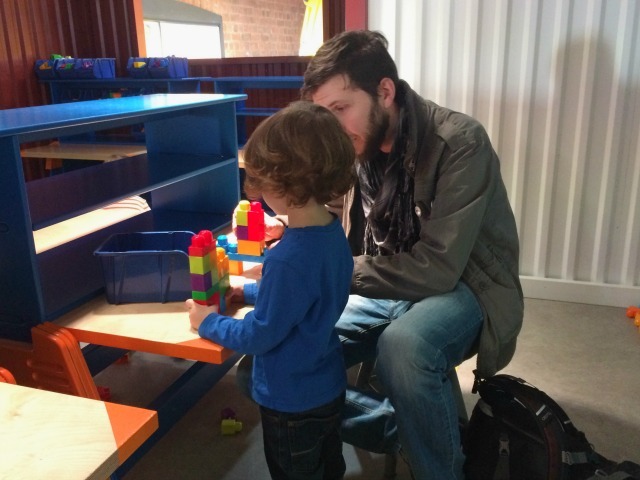 The twins loved the play kitchen in here and my eldest liked building walls with big foam bricks. 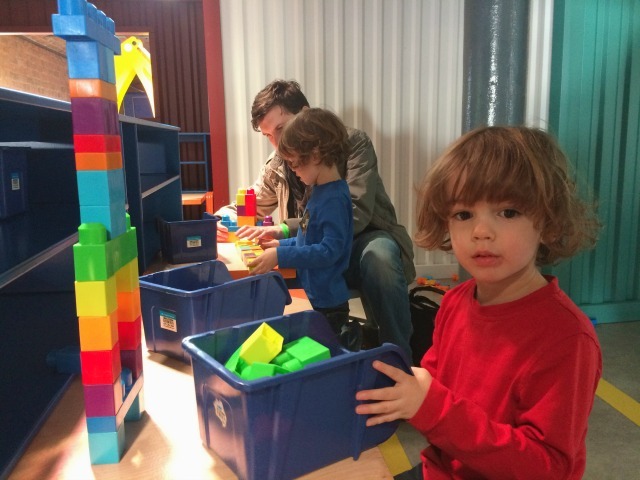 There is also a great section with megablocks and a drawing area where they can trace their favourite Bob the Builder characters. Their favourite zone, without a doubt, is the Fireman Same zone. All three of them got lost in their own imaginary games in here and Lucas was charging around on many special rescue missions. 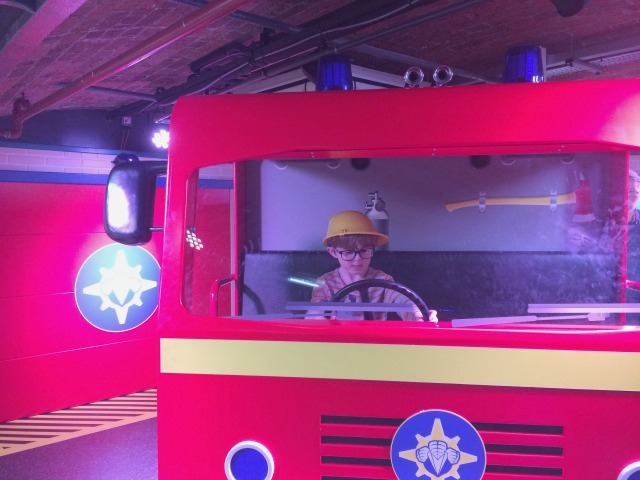 He immediately put on his fireman’s helmet and headed for the big sit-in Jupiter, the twins spent most of their time in the play shop eagerly paying for their shopping. 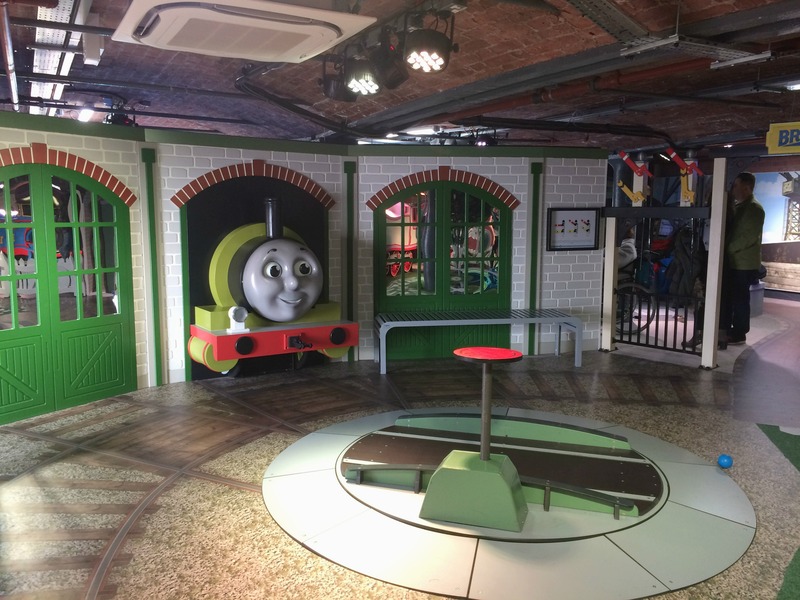 This is definitely somewhere you visit just for the kids, you need to get stuck in and let your imagination go wild, my boys absolutely love it. It’s great to see them use their imagination and have fun and I can’t fault it on that front as they thoroughly enjoyed every minute we spent in there. It is more expensive than most of our days out however for a treat I really would recommend it, not once were they bored. The next day they were asking to go back again and they’ve been talking about it for most of the week. 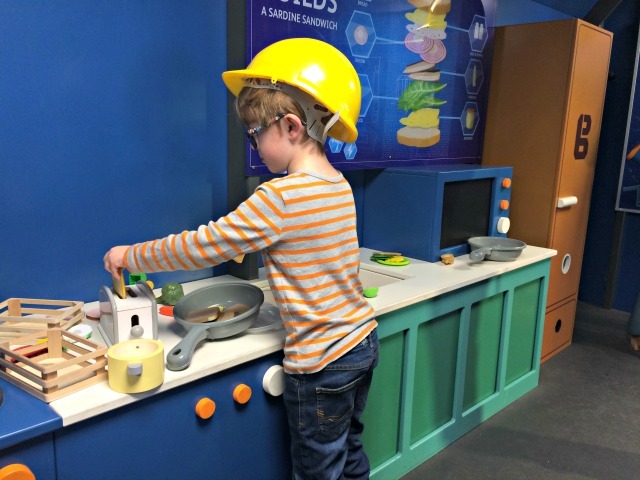 I love that it has a mix of activities in there, there is always something for them to do and as well as being great fun it is educational. It is a totally unique attraction and it really is a paradise for young children! We parked in the Echo Arena multi-story car park which is a short five minute walk away, it is £7 for five hours. You can also park in the Albert Dock itself but it does get busy. Book online to check the best price and to guarantee you can get in at the time you want. You can’t take your own food and drink with you but they do have a cafe area with hot and cold food and drinks, the prices are about the same for any soft play or attraction. You HAVE to exit through the shop on the way out and it is expensive, especially if you have three children. I promised our three an ice cream instead! There is usually at least one member of staff in each zone and they were all friendly. Keep moving around, if one area seems busy come back to it later – there were plenty of quiet spells while we were in there. Embrace your inner child – you will get so much more out of it and the kids will love it. Have fun! 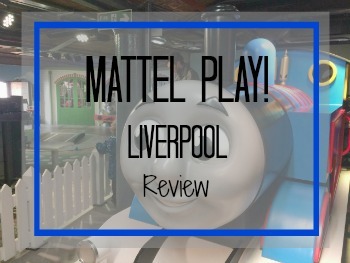 Thank you Mattel Play for offering us free entry for the purpose of this review. All words and opinions are always my own. It is so much fun, yours would have a blast there – they are the perfect age! It is great, it’s hard to get an idea of what it’s like before you’ve been but I think most kids would have a blast there! Oh my goodness, this looks so good. I’m sure I’ve seen Karen with her girls do a review here and I thought back then I really need to go then I completely forgot about it. I will need to visit during Easter I think!